Maccaferri will attend MinExpo 2016 in Las Vegas, on Sept. 26-28, showcasing a wide range of geogrids and solutions aimed at optimizing reinforced soil slopes and walls for the mining sector. Our Paralink and Terramesh structures are tough enough to withstand ultra-high loads, and robust enough to reinforce site-won fill. Stock piles and storage areas impose high surcharges on the ground which, unless controlled, can cause settlement and stability issues. Ultra-high strength basal reinforcement geogrids like our Paralink offer a solution. Placed in the base of embankments, or beneath stockpiles, Paralink reinforces the supporting ground, making it perform better and maintaining stability. Check out this Case History. Our engineers are also ready to help you keep your mines open, preventing rockfall. Our mesh systems stop falling rocks from impacting your mine infrastructure or vehicles, leaving you to concentrate on production! Being the manufacturer as well as providing technical support, we can even customize materials to suit your problem, saving wastage and speeding construction. Check this Case History for more detailed information on a specific issue that Maccaferri helped fixing. Furtherly, whether small leachate lagoons or large-scale concentration ponds, our impermeable membranes stop pollution of the ground. They are often used in conjunction with geotextiles like our MacTex, which protect the membrane from damage. Containing falling rocks, either stopping them falling or allowing them to fall behind a protective curtain, is the goal of our rockfall protection and slope stabilization systems. These are often used in conjunction with anchors, or soil nails to target specific instabilities on the slope. Maccaferri has a range of rockfall systems and design software to help! When placing mesh across a vulnerable slope is not suitable, our dynamic rockfall barriers can be used to catch falling rocks before they get to your trucks and mine infrastructure. 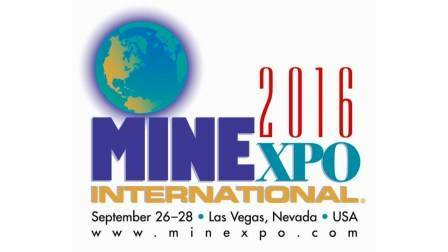 Check out this Case History, or better still, visit us at MinExpo 2016 in Las Vegas, September 26-28. We are in booth 26214 and would be delighted to meet you!